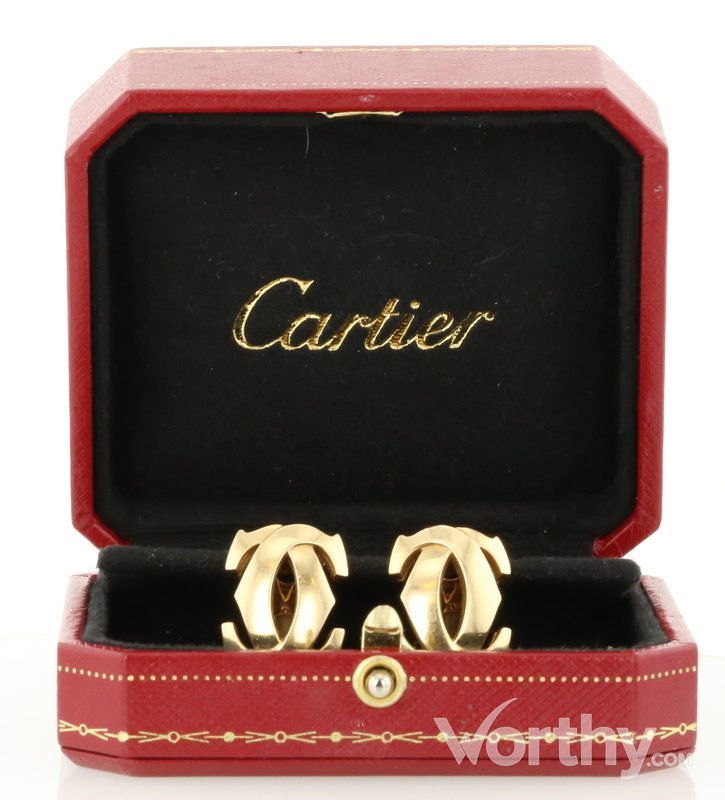 Cartier Double C logo design ear clips in 18K yellow gold. Markings are: 766037, Cartier 750, eagle head hallmark, and an unknown makers mark. Genuine Cartier Double C logo clip-on earrings in 18Kt yellow gold. Markings include reference number and Cartier logo.